For years, wealthy investors have had the right to invest in high-growth companies at their earliest stages. In some of the boldest changes to U.S. securities laws in nearly 100 years, the SEC just gave all U.S. citizens the same access. The revolution is called Equity Crowdfunding. We believe that equity crowdfunding—where many investors contribute small amounts of capital to get new businesses off the ground—has the power to drive entrepreneurship, transform communities, and generate wealth. While our initial focus is on equity crowdfunding of start-ups, we'll soon be providing access to the full universe of securities-based opportunities—from Real Estate to Peer-to-Peer loans. We aim to protect individual investors. By educating and empowering them, we believe we can help them avoid making costly mistakes—and provide them the highest chances for success. Matt is a Media & Technology executive with a history of entrepreneurial success, having founded and sold technology start-ups to giants like Hearst. He spent his early career on Wall Street, working in Sales & Trading for Bear Stearns and Lehman Brothers. Prior to co-founding Crowdability, he helped start Collective Spark, a venture fund + tech incubator where he remains a Venture Partner. Matt received his BA from Cornell University, and holds an MBA from the Kellogg School of Management at Northwestern University. 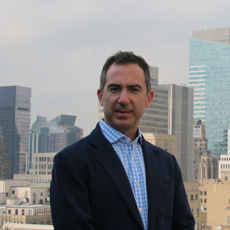 Wayne is a Financial Media executive with Wall Street and technology experience, and a history of start-up success. Mulligan started his technology career early, working as a programmer while still in high school, and gradually building a tech firm that employed a dozen people. After a stint on Wall Street, he built a tech platform called TickerHound that helped investors find answers to finance and investing questions. TickerHound was acquired by a financial education and publishing company called The Institute for Individual Investors (IFII). After joining IFII, Wayne climbed the ranks and eventually became CEO. In 2011, he spearheaded IFII’s sale to the largest financial newsletter publisher in the world. Wayne received his BA from Columbia University. Ben is a Marketing and Financial Publishing executive with experience in customer acquisition and retention. 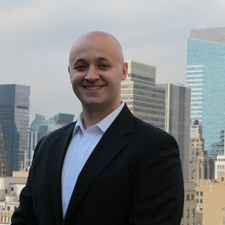 Ben began his career at Weiss Research, ultimately running online acquisition. He then became a partner in a financial publishing firm called The Institute for Individual Investors (IFII). It was here that he first worked with Crowdability’s eventual co-founder, Wayne Mulligan. At IFII, Ben built a subscriber base from zero to 150,000, and engineered several multi-million dollar product launches. After the company was acquired and Wayne eventually departed as CEO, Ben became Publisher and CEO. Having helped build a business from the ground up – and having seen first-hand the excitement and wealth that gets created from an acquisition – Ben is convinced about the life-changing power of start-ups. Ben is a graduate of Grinnell College. Sam is a marketing and financial publishing executive with entrepreneurial experience and a passion for online marketing. After starting and selling an e-commerce start-up in 2009, Sam witnessed first-hand the power of start-ups to disrupt traditional business models. His career in financial publishing began at Agora, Inc. Eventually, he become Director of E-Commerce for The Oxford Club and Stansberry Research, overseeing customer acquisition. It was at an Agora retreat in France where Sam met Crowdability's eventual co-founder, Wayne Mulligan. 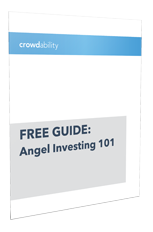 What excites him about Crowdability and equity crowdfunding is the potential for investors to make life-changing investments. "The mission at Crowdability is an exciting and noble one," says Sam. "Wayne and Matt are giving investors the tools they need to generate retirement-worthy wealth." Sam is a graduate of Pennsylvania State University. George is Crowdability's Director of Technology. Most recently, he was the Lead Developer for The Oxford Club, an 8-figure division of financial publisher Agora, Inc. Prior to that, he was the CTO of The Institute for Individual Investors, a financial education and publishing company. George was also the Technical Co-Founder of TickerHound, an online question-and-answer community focused on financial education. He received his B.A. from Pace University. We're always looking out for talented, driven people to help us facilitate future growth and fulfill our mission of enriching the lives of individual investors.